Fall is my favorite season in the Central Valley. There’s nothing I look forward to more than the end of our nearly endless summer. It’s not that I hate summer; it’s just that it lasts so long! Fall is the time of year when it’s comfortable to do just about anything outdoors. As the season progresses, a warm layer or two is necessary, but it is still often comfortable to be outdoors unless there is fog or rain. Fall offers crisp mornings and evenings, cleaner air and clearer skies, changing leaves, and rain. With farming being a major part of the local economy since our county’s establishment, it’s not hard to find good pumpkin patches and fun fall farm events. In addition to being able to buy a wide range of pumpkins, gourds, and squash for decoration and carving, our local pumpkin patches also offer corn mazes, hay rides, and a wide range of other fun activities, including great backdrops for family photos. For more information about five exciting pumpkin patches in our area, click here. You don’t have to go far to enjoy brilliant fall colors. 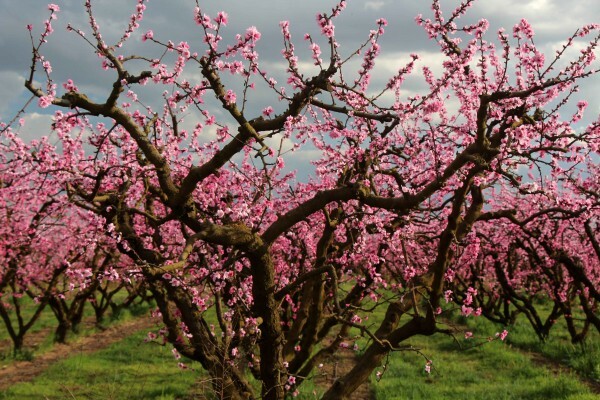 Merced has been a part of the Arbor Day Foundation’s Tree City U.S.A. program for 35 years. It’s one of only 141 towns or cities with this recognition in a state of 38 million people. What this means is that our city has made a concerted effort to plant and maintain trees – trees that provide shade, reduce energy costs, beautify our city, and provide brilliant fall colors throughout November. 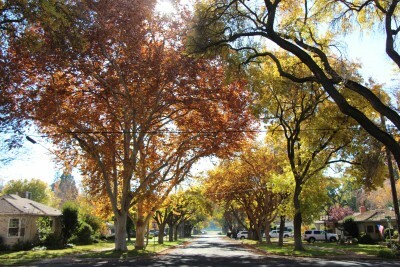 You can enjoy these trees as you drive or walk around town. The display is often so good that Sunset Magazine featured it back in 2009, with a beautiful photo of trees along the Bear Creek bike path forming a canopy of vibrant organs, reds , and yellows. The entire Bear Creek Bike Path between McKee Road and R Street is one of the best places to walk or bike beneath glowing autumn leaves. For a downloadable map of bike paths in Merced, go to www.cityofmerced.org/documents/bikepathmap.pdf. Winter is by far the best time of year to see wildlife. 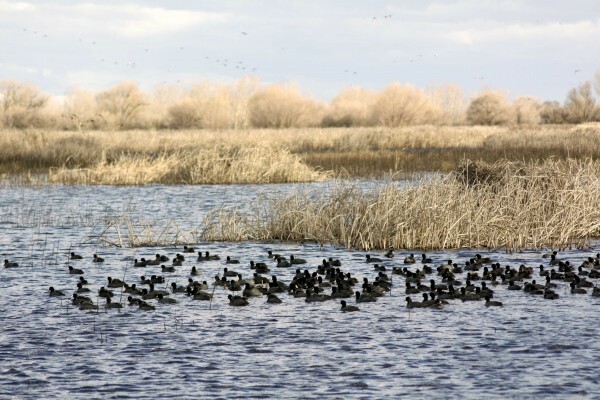 Within our county is the extensive San Luis National Wildlife Refuge Complex, which includes the Merced National Wildlife Refuge on Sandy Mush Road, and the San Luis National Wildlife Refuge adjacent to Highway 165 north of Los Banos. There are also several units of state wildlife refuge lands and state parks, mostly on the west side of the county. Located along one of the world’s greatest migration routes – the Pacific Flyway – our refuges are the winter homes for millions of birds that spend the summer in Canada and the Arctic. There are also many that live in the refuges year-round, and a magnificent herd of tule elk at the San Luis Refuge. What makes the wintertime the best season to visit the refuges is the multitudes of wintering birds. The best time to visit is usually late December through early February and all the refuges are open to the public completely free of charge. For more information about the areas that you can visit, click here Merced County Events Wildlife Refuge page. The reason why I recommend fall as a time to “get ready” for winter viewing is that the refuges are much easier to appreciate if you know what you are looking at. The San Luis Refuge Complex and the nearby state refuges and state parks are the permanent or temporary homes of over 200 bird species, in addition to mammals, amphibians, reptiles, fish, and insects. If you don’t know much about this multitude of local species, it can be confusing. The more you learn, the more enjoyable and interesting the refuges become. You’ll spend less time flipping through a thick species guidebook trying to figure out what you’re looking at. Although I’ve spent a fair amount of time learning local species over the last few years, the more I learn, the more I realize how much more there is to learn. To learn local species, I heartily recommend a visit to the Great Valley Museum at Modesto Junior College. The museum reopened this year in the college’s new Science Community Center building. The exhibits recreate local habitats in meticulous detail. You can see the same species you’d see at a refuge, but here you see them up-close and without having to catch them in between movements. Informative signs provide the names and interesting information about each. Although the majority of the museum’s visitors are elementary-age students, the exhibits are designed to be interesting and informative to all ages. The museum also has a planetarium with interesting shows – usually offered on Fridays and weekends. For more information, click here Merced County Events Great Valley Museum page. Visiting is a fun, interesting experience, and it will make your next trip to a refuge more meaningful. Although winter is often the most exciting time to visit the refuges, there are still things to see in the fall, especially the elk at the San Luis Refuge. They can be seen from the 5-mile auto tour route that surrounds the elk enclosure and from the viewing platform near the end of the one-way auto tour route. The refuge has begun holding Tule Elk Day annually in mid-October. If the date has already passed - it is worth remembering for next year. The event features van tours inside the elk enclosure to see the elk up close. The van tours and access to the refuge are both free to all visitors! Migratory birds begin to arrive in November and the Merced National Wildlife Refuge is holding a Crane Day event on November 14th to celebrate the arrival of the Lesser Sandhill Cranes. 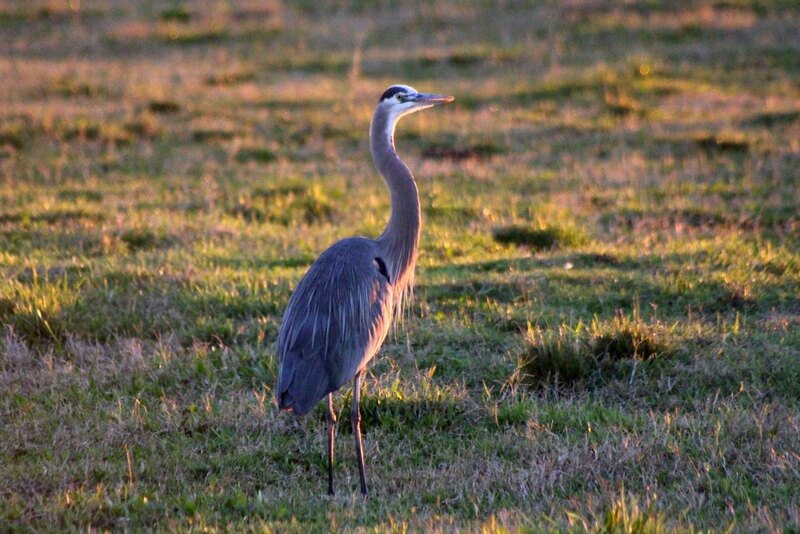 You can sign up for guided bus tours of the refuge by calling the refuge’s headquarters at (209) 826-3508. The tours are offered at 8AM and 10AM and there is no charge for the tours or for refuge access! 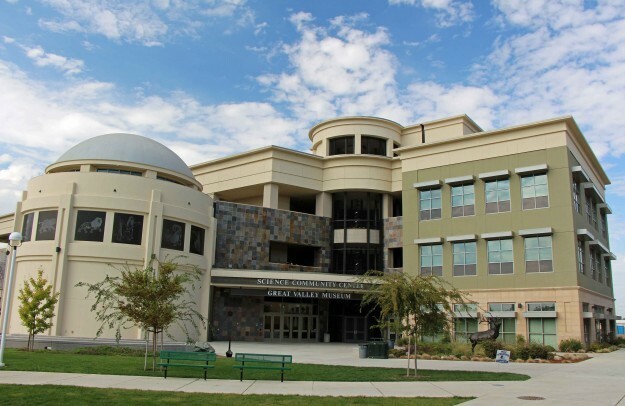 Fresno State University’s Downing Planetarium: Planetarium shows and telescope viewing from dusk to 8PM. For more information go to https://www.fresnostate.edu/csm/downing-planetarium/weekendshows.html or call (559) 278-4121. Advanced ticket purchase through the website is recommended. Great Valley Museum “Science Night at the Museum”: The night features telescope viewing provided by the Modesto Junior College Astronomy Club, planetarium shows, and access to all the museum’s exhibits. For more information, call (209) 575-6196. Or. go to the official website at http://www.mjc.edu/instruction/sme/gvm/. Parking and telescope viewing are free, planetarium shows and museum admission are regular price. For museum admission click here for prices and discounts. Sierra Foothill Conservancy “Beginning Astronomy” at the MacKenzie Table Mountain Preserve. Bring your own binoculars. Flashlights, snacks, warm drinks, folding chairs, and blankets are recommended. There is a ¼ mile walk from the parking area to the viewing area. Advanced registration is required because spots are limited. For more information and to register, go to http://www.sierrafoothill.org/ . You can also call the Conservancy at (559) 855-3473. The MacKenzie Table Mountain Preserve is located on Auberry Road near Millerton Lake. Driving directions are located on the Conservancy’s website. Allow at least 90 minutes travel time from Merced. For all nighttime astronomy events, dress warmly! By the end of summer, the hills surrounding our valley are usually dry and bare. They may not be particularly attractive in 100 degree heat under a dirty beige sky, but as soon as the weather changes and a storm clears out the air, the views can be outstanding. Table Mountain (Tuolumne County): Located near Jamestown, this hike involves a steep climb to the top of the iconic table that follows Highway 108 and the course of an ancient channel of the Stanislaus River. The trail climbs through oaks to the flat summit for excellent views of the surrounding hills and valleys. The round-trip hike is about 3 miles with 400 feet of elevation gain. 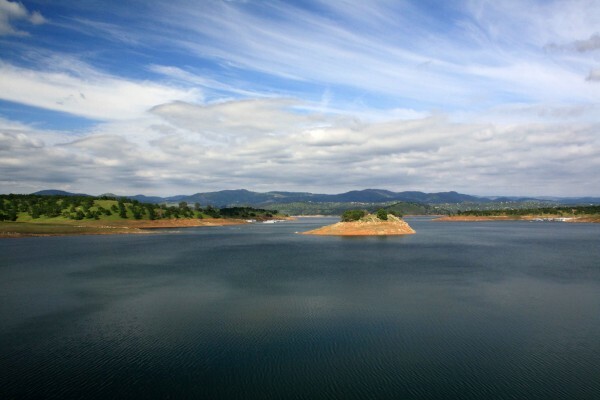 For more information and maps, call the Bureau of Reclamation at (209) 536-9094 or go to http://www.usbr.gov/mp/ccao/newmelones/. There is no fee to park or use this area. Dogs are permitted, but horses and mountain bikes are not allowed on this trail. From Highway 108 in Jamestown, turn north on Rawhide Road. After two miles turn left on Shell Road. Shell Road is paved until the last ¾ mile. The surface change happens at an unlocked gate. Close it after you have driven through. The parking lot is found beyond a second unlocked gate. If the road is in poor condition you can always park at the first gate and follow an extension of the trail that parallels the final stretch of the road. 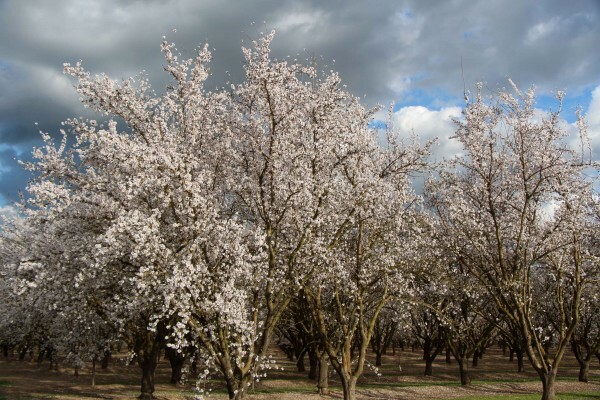 Pacheco State Park: With 30 miles of trails for hiking and horseback riding, Pacheco State Park is best in spring, but can also be nice in the fall. My recommendation is the 5-mile round trip hike to the outstanding views from the top of Spikes Peak. The total elevation gain is about 500 feet. 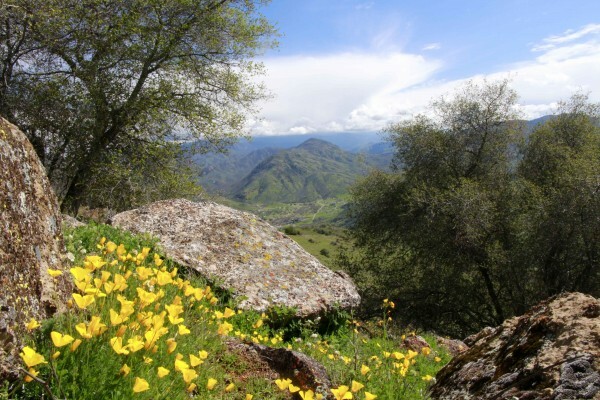 The park is located on the south side of Highway 152 at the top of Pacheco Pass, about 15 1/2 miles west of I-5. For more information go to http://www.parks.ca.gov/?page_id=560 or call (209) 826-1197. The day use fee is $10/vehicle. Horses and mountain bikes are allowed, but dogs are not. Knights Ferry: In the sleepy hamlet of Knights Ferry, pedestrians can still cross the Stanislaus River on a historic covered bridge. The stone and brick walls of buildings from the 1850s and 1860s line the river and an easy pathway along the river provides beautiful views of the town and the canyon. The path is only a 3-mile round trip walk, but it packs in a lot of memorable vistas. The trail starts on the north side of town at the end of the main road along the river near the stone and brick shell of the old Tulloch Mill. For more information, call the Knights Ferry Information Center at 209-881-3517. Knight’s Ferry is located on the north side of Highway 108 between Oakdale and Jamestown. The drive takes about an hour from Merced. There is no charge for parking or access to the river, trail, and historic buildings. Dogs are allowed on the trail, but horses and mountain bikes are not. Williams Peak: This is the hardest to find of my five recommendations, and you are unlikely to see very many other hikers. The trail follows an old dirt road to the 3,205 foot summit of Williams Peak. The summit offers views all over Mariposa County and out to the Central Valley. There’s an abandoned and dangerous fire lookout tower on top of the peak – it’s not safe to climb, but you can enjoy the views from around its base. Williams Peak is on land managed by the Bureau of Land Management. For more information, call the BLM’s Mother Lode Field Office at (916) 941-3101. To find the trailhead, take Bear Valley Road about 8 ½ miles from Hornitos. Turn left on Hunters Valley Mountain Road (not Hunters Valley Road, which you’ll see about two miles before the correct turn). The road is dirt and gravel, but passable by all vehicles unless there’s been a lot of bad weather recently. Drive a total of 2.2 miles from the turnoff and park when you see the road split with a metal gate on the left branch. The gate has a large metal “Williams Peak” sign, so there’s no chance you’ll miss it. Park nearby and follow the road beyond the gate for about 2 miles until you reach the summit. The elevation gain is about 750 feet. Drive time from Merced is about an hour. No matter where you hike, watch out for poison oak. It is commonly found throughout the foothills surrounding our valley and its leaves may be green, red, orange, purple, or any mixture of in-between hues. The stalks may also be bare of leaves and hard to identify. For that reason, avoid touching plants unless you are sure that you know they are not poison oak. The easiest way to identify poison oak is by its leaves, which grow in groups of three and are often waxy. They may be lobed (like many true oaks), but not always. The only other common plant with groups of three leaves is blackberry, which can usually be identified by thorns on its vines and hairs along the edges of the leaves. Also watch for rattlesnakes and ticks. Although rattlesnakes are unlikely to be seen if the temperature is below 65 degrees, you should still be vigilant. Check yourself for ticks after your hike. Another way to take advantage of nice fall weather is to go on a camping trip. I’ve included this “bonus” sixth thing to do in the fall because the most reliable part of the fall for camping has already passed this year. If you watch the weather carefully, there will probably still be a couple of weekends when the weather is mild enough for a camping trip, but this is most likely a good fall event to plan for October 2016. That said, fall camping requires taking weather into consideration. Check the forecast before you go and plan your trip for clear skies and moderate night temperatures. No matter how comfortable the daytime temperatures will be, bring warm layers for nighttime. You’ll definitely want a campfire at night as well and folding chairs so you can easily warm yourself around it. Although most areas allow campfires in the fall, dry season campfire restrictions may remain in place due to the drought, so make sure you call the campground in advance to make sure they are allowed. To sleep comfortably, warm sleeping bags are a must and it is a good idea to have extra blankets. Inflatable air mattresses, while excellent for padding, are not so good for keeping warm. An air mattress in direct contact with the ground will quickly absorb the temperature of the ground, so it is necessary to put a couple of insulating layers between the mattress and your sleeping bag (additional sleeping bags, foam pads, comforters, or blankets will work). An air mattress with a cot frame that elevates the mattress off the ground is also helpful. Keep your plans flexible and turn your camping trip into a day trip if the weather forecast predicts cold nights. All of the campgrounds listed above are located between the floor of the valley and the 1,500 foot elevation level, so weather is similar to Merced. Beware of rattlesnakes, though they are less frequently seen if the temperature is below 65 degrees. Some campgrounds allow dogs. McClure, Don Pedro, and New Melones are my personal favorites for lakeside camping (though all lakes have extremely low water levels due to the drought). McConnell is the best place to camp along the lower part of the Merced River and Briceburg is a great spot along the upper river. What to do in Merced? Having lived here most of my life, I have to disagree. In fact, there are so many things that I want to do, I often hear about things that I want to do but have to decline because there’s already something on the calendar. On an ongoing basis, Merced offers a wide range of activities to participate in: recreational sports teams, youth groups and clubs, music lessons and performing arts groups, community service classes at Merced College including art and physical activity, churches, and annual events such as parades and the Merced County Fair. Castle Air Museum has one of the best collections of historic aircraft in the country. 53 aircraft from WWII, the Korean War, and the Vietnam War are on display daily including the B-17, B-29, B-52, and SR-71. Castle Air Museum is a place where history truly comes alive. Visitors have close-up views of the planes from paved, handicapped-accessible walkways. The museum holds annual “open cockpit” days when visitors can view the insides of many of the aircraft. The museum also has a gift shop and café. You can see the planes every day of the year except Easter, Thanksgiving, Christmas, and New Year’s Day. Summer Hours (May –October) are 9-5 and Winter Hours (November– April) are 10-4. For current admission rates and special events-(click here) or call 209-723-2178. 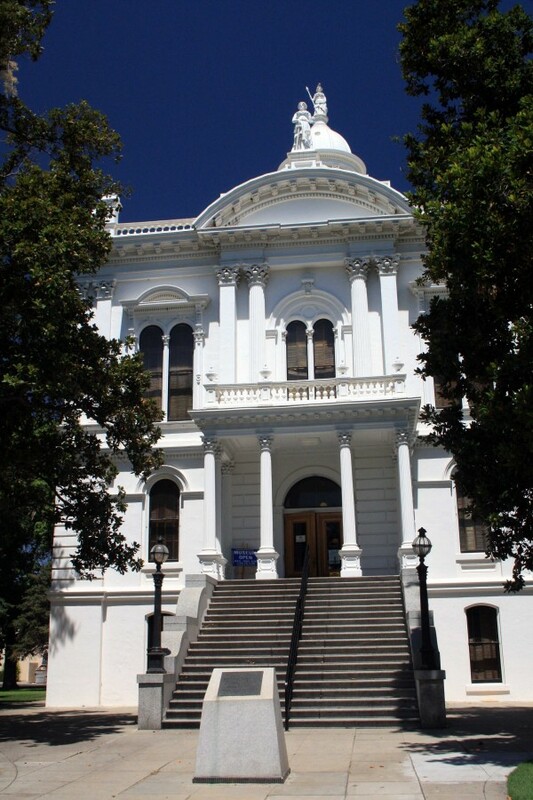 Located in Merced’s landmark 1875 courthouse is a great place to learn about local history. The museum’s displays cover the history of the county from human settlement of the Central Valley to the present day. Displays include Yokut Indian artifacts, early ranching and farming, artifacts from Merced’s Chinatown, a display of Merced County schools and a turn-of-the century classroom, “Old Betsy” – Merced’s 1859 fire engine, the restored 1875 courtroom, and displays of home life in the 1800’s through early 1900’s. The museum is open Wednesday through Sunday from 1-4. Admission is free and knowledgeable volunteer docents are available to provide tours. The building is wheelchair accessible and is located at the intersection of 21st and N Streets. The Merced County Historical Society hosts a wide range of history-themed events throughout the year. Check the website for a current schedule and for more information about the museum: http://www.mercedmuseum.org/. You can also call (209) 723-2401. Showcases local artists and their creations in a variety of mediums. Special exhibits change several times a year. Currently on display is the 7th Annual California Centered Printmaking Show, featuring prints made by over 40 California artists. 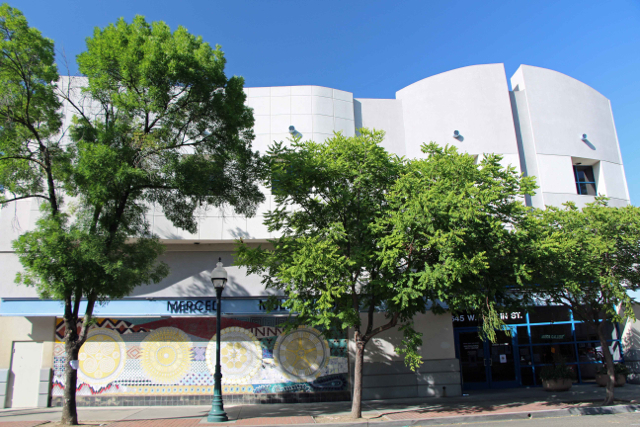 Art classes for all ages are offered throughout the year by the Merced County Arts Council. The Arbor Galley section of the Center is owned and operated by local artists. You can enjoy (and purchase) beautiful paintings, ceramics, photography, textiles, sculpture, glass, turned wood, jewelry, giclee prints and greeting cards. The Arts Center is open 11AM-7PM Wednesday-Thursday and 10AM-5PM Friday-Saturday. Arbor Galley is open 11AM-6PM Tuesday-Friday and 10AM-2PM on Saturdays. Offers picnic tables and BBQ grills, indoor and outdoor facility rentals for large events, boating, fishing, playgrounds, and a swimming beach and concessions in the summer. Rental paddle boats, canoes, and kayaks have been available in the past and may be available again this summer. 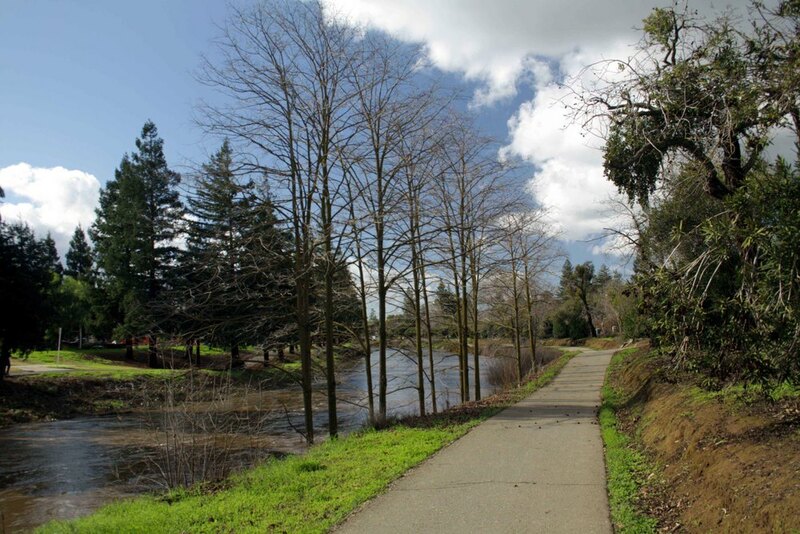 The park is open daily during daylight hours and is located 7 miles north of downtown Merced at the end of Lake Road. Located south of Bear Creek between M and R Streets, this 32-acre park offers picnic tables and BBQ grills, a playground, the Applegate Park Zoo, amusement park rides at Kiwanis Kiddieland, facilities for tennis, basketball, softball, and volleyball, a skatepark, an open air theater, a rose garden, historic Laura’s Fountain, rental facilities, and plenty of shade. It’s also adjacent to the Bear Creek Bikeway. For more information go to Applegate Park -http://www.cityofmerced.org/depts/pw/parks_division/applegate_park.asp. 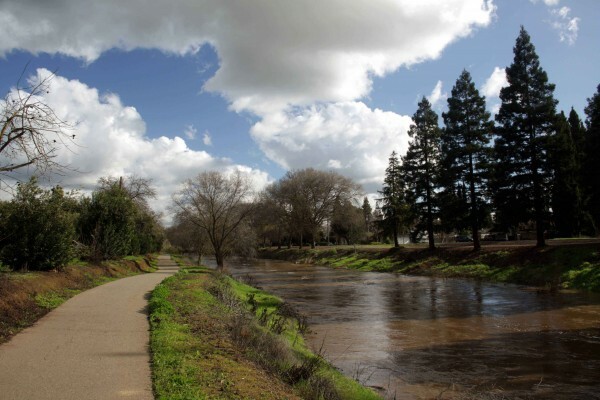 Located on the Merced River in the lower foothills near Snelling, Henderson is Merced County’s best county park. Only 20 miles from Merced, it’s an easy drive. The park offers picnic tables with BBQ grills, large indoor and outdoor rental facilities for large events, playgrounds, a softball diamond, horseshoe pits, and fishing. The Applegate Zoo showcases wildlife native to Central California. In addition to being the only zoo between Fresno and Stockton, it’s also the best place to see local species including mountain lion, black bear, mule deer, bobcat, raccoon, fox, heron, owl, egret, hawk, kestrel, raven, and wild turkey. The zoo also has several exotic species and a petting zoo. The zoo is open from 10-5 daily in the spring and summer and from 10-4 in the fall and winter, weather permitting. The only days it is regularly closed are Thanksgiving, Christmas, and New Year’s Day. Admission price information, (click here). Seniors receive free admission on the morning of the second Tuesday of each month. For more information, visit the zoo’s webpage at (Click here) or call the Merced Zoological Society at (209) 725-DEER. 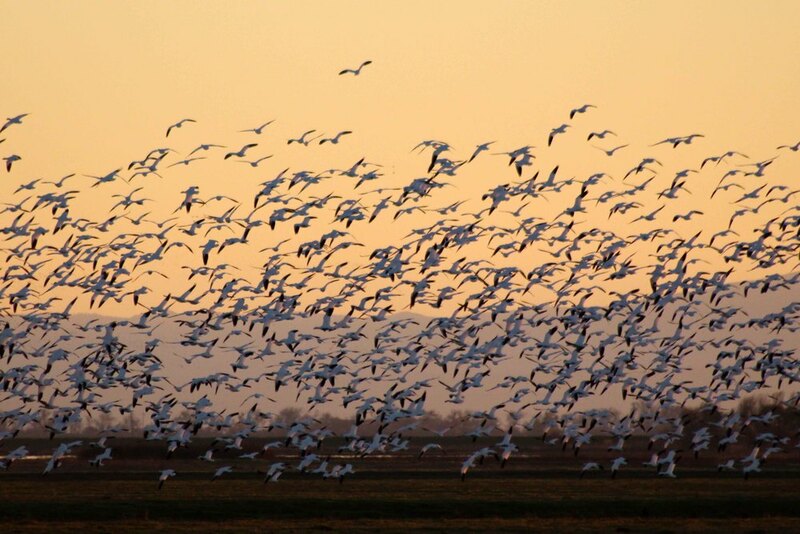 A great place to see the birds that flock to the Central Valley in the winter months. 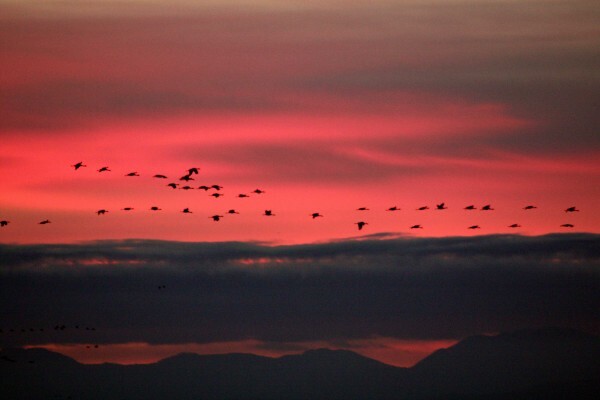 From November through February, millions of migratory birds make their home here. Other species make it their permanent home and the refuge can be enjoyed throughout the year, but the winter months are when it really puts on a show. The refuge is open daily from one-half hour before sunrise to one-half hour after sunset. 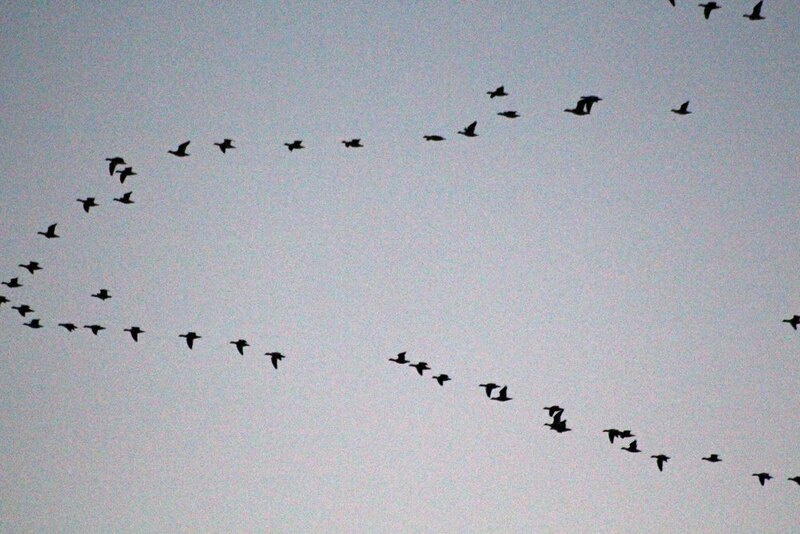 Evening is usually the best time to see birds returning from feeding (winter mornings are often foggy). The refuge is part of a complex that includes the San Luis National Wildlife Refuge near Los Banos. Located along the Pacific Flyway, an important migration corridor for dozens of species of waterfowl and other birds, the complex is an important stopping-place for Ross’ geese, Aleutian cackling geese, snow geese, green-winged teal, mallard, northern pintail, gadwall, American wigeon, northern shoveler, and white-fronted geese. 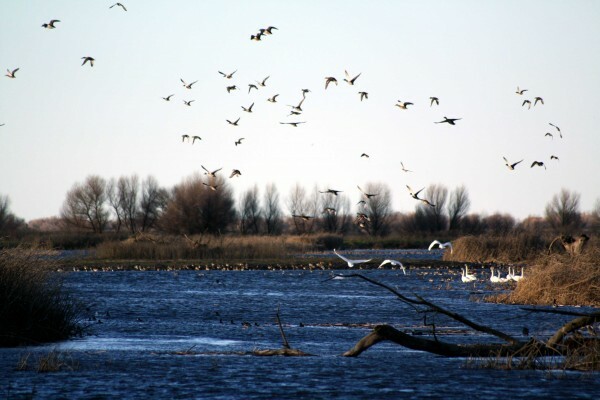 You can find the Merced National Wildlife Refuge on Sandy Mush Road, 8 miles west of Highway 59. A 5.2 mile auto tour route circles the heart of the refuge with four viewpoints, two observation decks and access to three hiking trails. Visitors are asked to remain in their vehicles except at these points. 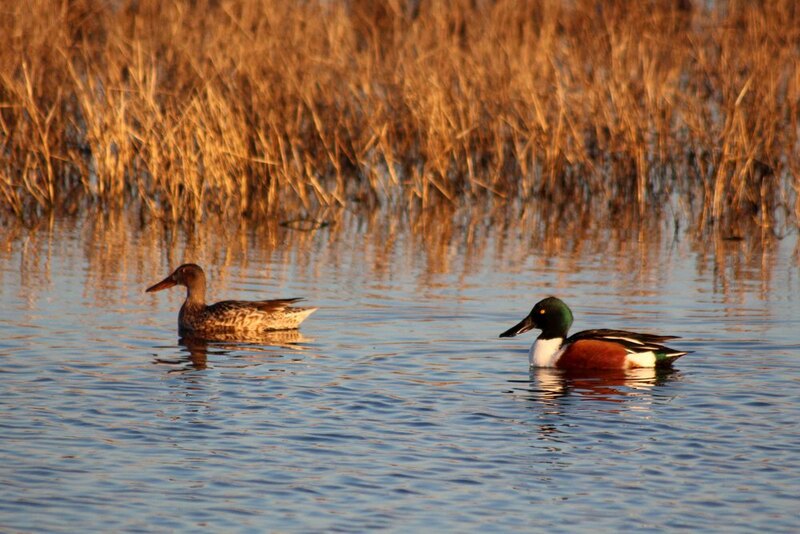 The refuge is also a popular waterfowl hunting destination during the winter months. The sections where hunting is allowed are separate from the designated viewing area. or you can call (209) 826-1445. In addition to the many avian species, a herd of magnificent tule elk can be viewed in the San Luis Unit on Wolfsen Road north of Los Banos. Once hunted nearly to extinction, stable populations now live in several areas throughout the state. The San Luis Unit also has a brand new visitor center – a great place to learn more about the refuge and its species. 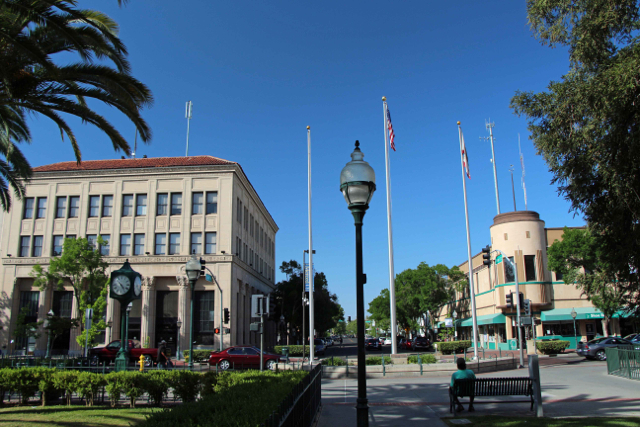 Downtown Merced is undergoing a renaissance. With the construction of the Regal Hollywood Main place Stadium Cinema, the restoration of the Mondo Building and the Merced Theatre, and the opening of UC Merced, new life has come to our historic downtown. Main Street offers live theatre and music, a wide variety of dining options, shopping, and regularly scheduled community events. 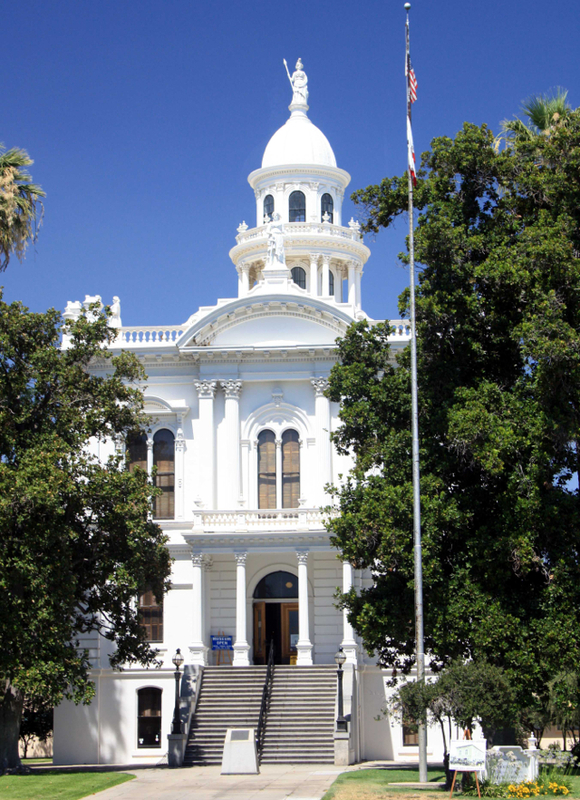 Located close to Applegate Park, the Merced County Historical Society’s Museum, and including several theater venues, you can enjoy a variety of entertainment and education on a single trip. “The Original” Merced Certified Farmers’ Market, a separate operation, is open every Saturday morning Corner of 16th St. & Canal St. 8am - 12pm - Year-Round. For more information go to http://mercedcfm.com/. ...is offered four times a year on Saturday evenings from 5-9PM. Downtown stores are open and feature the works of local artists. You can wander around, enjoy a meal, and listen to live music along the Downtown’s sidewalks. For more information about the Art Hop, go to http://mercedarthop.com/. 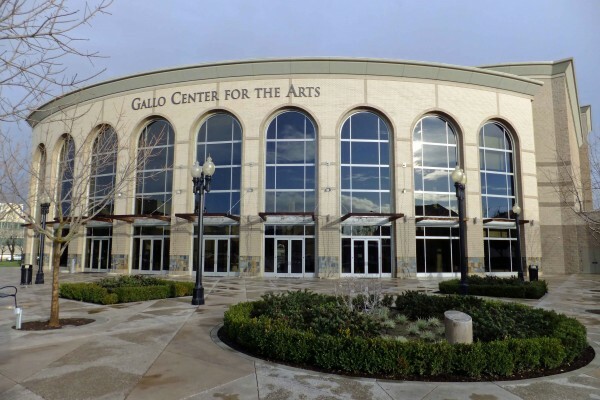 For the last 20 years, Playhouse Merced has entertained Merced with an average of 10 major productions of new and classic musicals and plays every season, along with many other performances, classes, and events. For more information and to learn about current and future performances, go to http://www.playhousemerced.com/index.html or call (209) 725-8587. 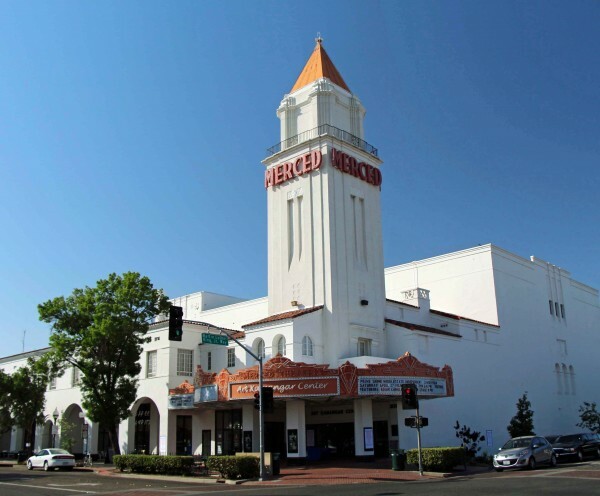 After many years of hard work, the Merced Theatre Foundation completed a stunning restoration of the Merced Theatre in 2012. For the past year, the Theatre has offered a remarkable selection of live music, comedy, and classic films on a weekly basis.